As an online retailer, you’re always thinking about how you can reach new potential buyers. One way to do this is by visual marketing. Social media loves visual posts, as it’s the best way to interact with your followers through visual content: photos, videos, Instagram Stories, GIFs, infographics etc. As a content marketer for PromoRepublic, I am constantly analyzing Small Business Pages and can, without a doubt, confirm that none of their owners are professional designers. Nevertheless, these Pages leave a lasting impression not only with their visuals but with the number of likes and loves below their posts. *Join like-minded Ecommerce professionals at free weekly webinars. 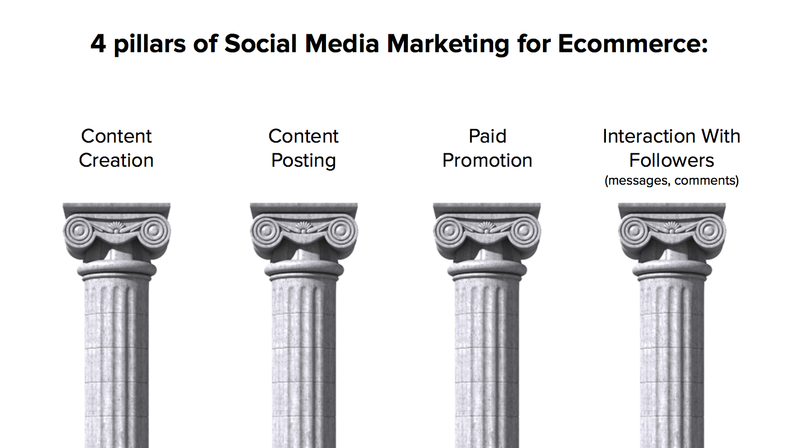 A well-balanced content plan is the first step in your Social Media Strategy. Your goal is to promote your products. We suggest 1/3 of your social posts be shares from your Shopify store, or from your other Ecommerce website. You also sell on Facebook via Shopify, so that’s easy. 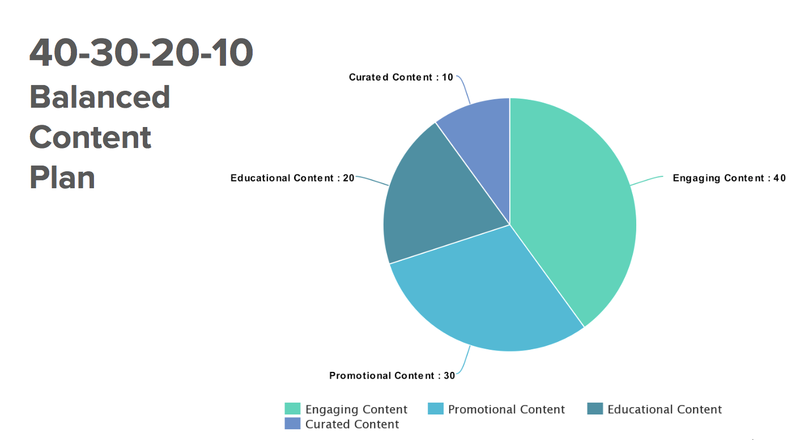 The optimal content plan is made up of engaging, educational, promotional, and curated content. They are your followers first; buyers second. Turn your page into a source of entertainment and easy-going content for them. Generate ideas you think will make them want to click on the heart and the share button below your post. Short and sweet, a GIF contains dynamic content that’s rich in meaning and is rarely considered spammy. People like GIFs, plain and simple. They have a mystique about them – they’re like social media’s shiny toy. Giphy’s library is huge and search-friendly. Need to turn videos and YouTube links into GIFs? Use their GIF Maker for free. 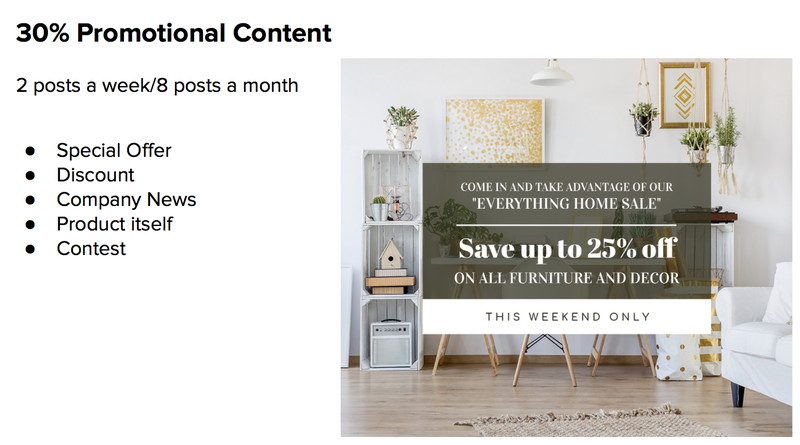 Shopify links, special offers, discounts, or newsworthy pieces about your product are examples of promotional posts. If they like your visual, they will read your compelling copy and vise versa. Try to keep all the important information in the image. 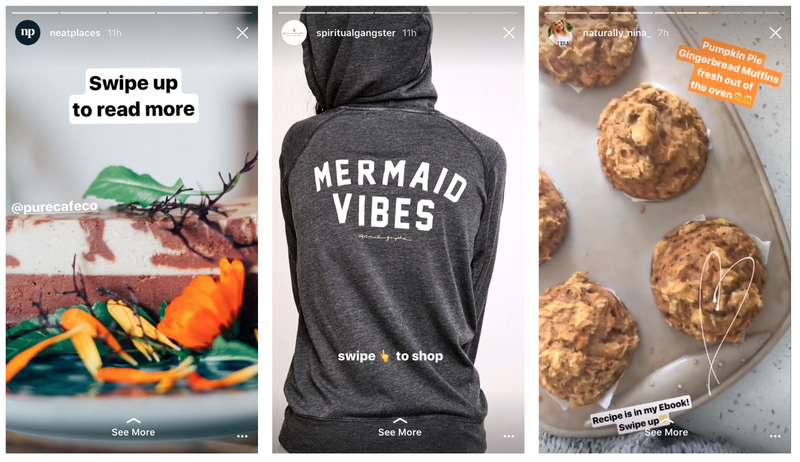 Instagram has extended its carousel format to organic posts and expanded it to include up to 10 photos or videos. 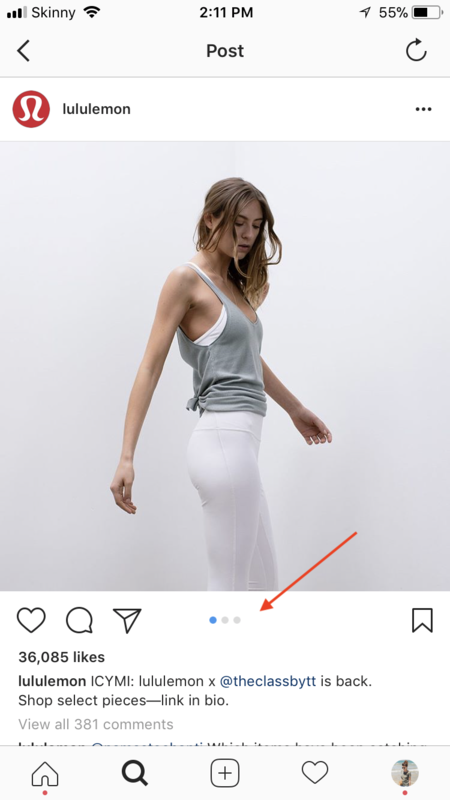 Now you can upload as many photos of your products in one post as you need, categorize them and reach a higher engagement. 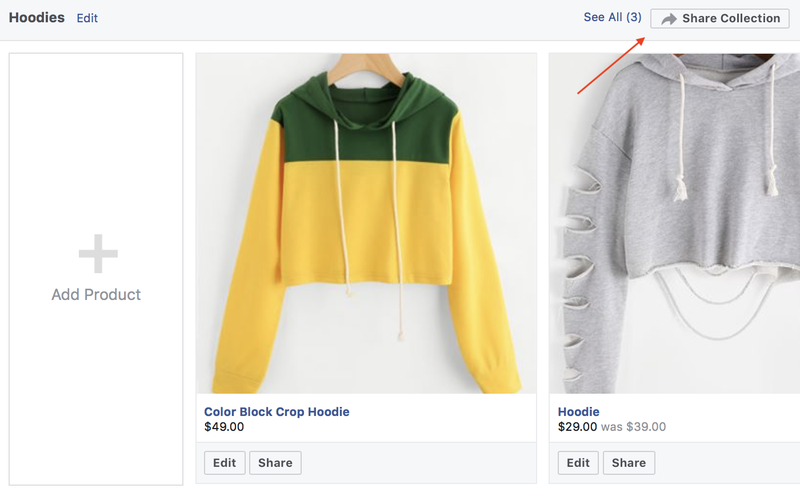 Create beautiful posts with your Facebook Shop. You can share your collections during blowout days or any other promotion. To do that, go to Shop and click on Share Collection. Add your copy and post. The post will be published as a Carousel. 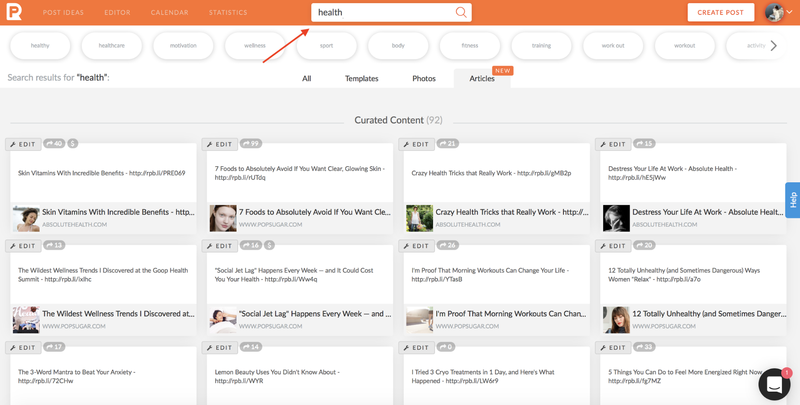 You can create a Carousel post showcasing several products. These promotional posts lead users directly to your online store. When uploading, attach links to each photo. Canvas ads are full-screen ad units which allow users to stay inside the Facebook app when they’re viewing product details. When a user clicks it, a full page opens up to fullscreen on mobile. 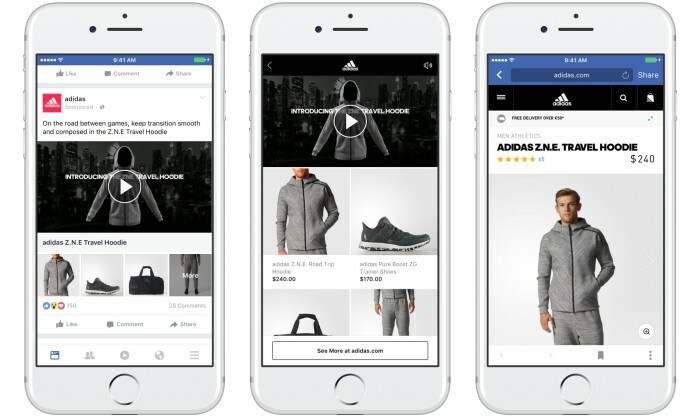 Brands use videos, GIFs, photos and CTA buttons to create a sort of mini landing page for mobile, and users can navigate through the content within the Facebook app. Have you ever noticed the number of followers on Printed Media Pages? People want to be on top of the hottest news and most current updates. For ex., following Harpers Bazaar on Facebook is way cheaper than buying monthly issues 😉 And as an entrepreneur, you are, in essence, an influencer too. You are a guru in your industry, so why not inspire your followers with fun facts and stories about your business. Tell them things they would never have known about your niche, goods etc. 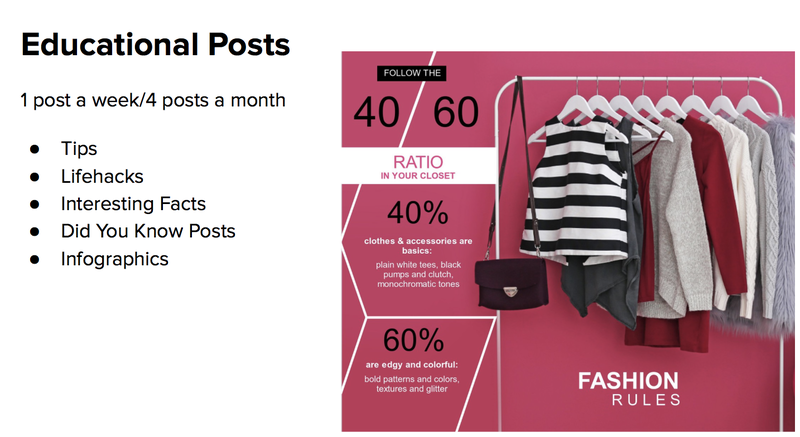 *PromoRepublic Post Ideas offers educational visual posts for more than 50 industries. Enjoy our 14-day free trial. 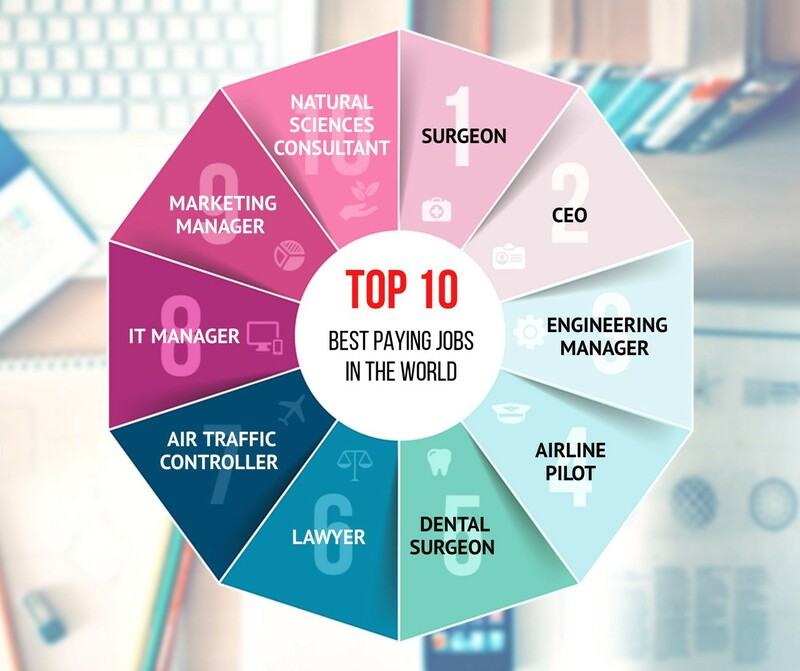 Infographics combine images with data and statistics. High-quality infographics tend to be widely shared on social media, so this could be a vehicle for increasing brand awareness with a quick turnaround. Come up with data and statistics that would peak the interest of your followers and present it in an impactful and visual way. You can either use your own data or get data from a survey: SurveyMonkey, Wufoo are good for gathering audience insights. For ready-to-go infographics, use PromoRepublic’s Library. On average, video posts get 40 to 50% higher engagement. It’s up to you do decide whether you prefer it to be entertaining or educational. Posting fun videos is great, but you need your followers to first emotionally relate to your brand. If you’re not shy behind the camera – go LIVE! Facebook bumps up LIVE videos in your user’s News Feeds. What this means is, when you’re broadcasting, you’ll get an organic traffic boost. Dig into your FAQ’s or emails and list all the questions your customers ask you on a daily basis. Answer them LIVE! You’re solving their nagging issues and making a customer happy! It’s a great idea to ask them to post a comment with questions and topics for your upcoming LIVE session. One of the best ways you can provide value to your followers is by giving them a behind-the-scenes look into your life and business. New arrival? Product updates? By giving your followers a look at what you’re currently working on, it helps build anticipation. 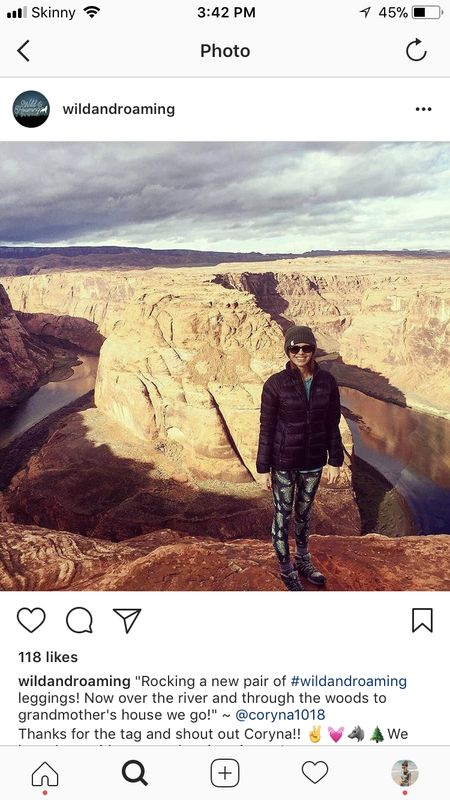 “Swipe Up” option in Instagram Stories works exceptionally well! You have no time for blogging, but you want to publish relevant articles on your page. To do this you need to follow authoritative blogs, known influencers in your industry, and what’s most important – have time to do all of this. Save time and browse through PromoRepublic’s Articles. Schedule 1 post a week with our up-to-date content which we carefully select from reliable blogs and platforms. As a business, you look for ways to humanize your brand and build trust with customers. Research shows millennials trust UGC, user-generated content 50% more than other media – that’s why feedbacks and reviews are so important for your brand. *Learn how Wild & Roaming, increased their sales from Social Media to 30%. 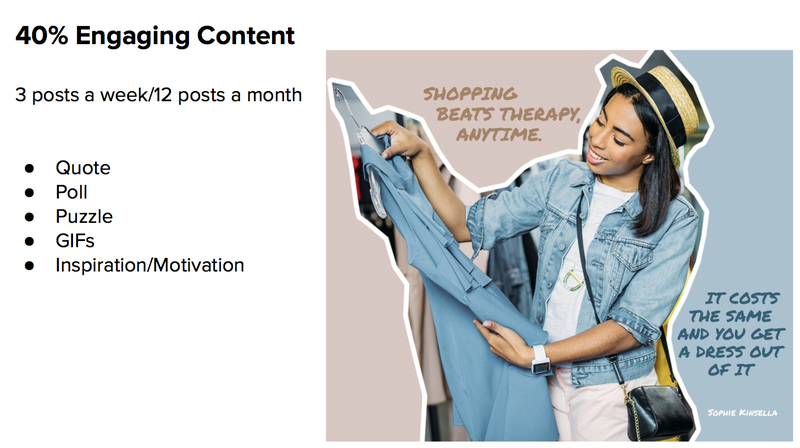 Who has time to create a ton of social posts – especially if you are constantly adding products to Amazon or Shopify, creating new Amazon Merch designs or shipping items to customers? You do! Using PromoRepublic’s social marketing platform you can design posts, create your content plan, schedule them and forget about it. PromoRepublic’s native design tool is easy to use. Its library chock full of diversified, professionally designed posts available at your fingertips, makes visual marketing a snap. Very informative article. Yes, these strategies are really helpful to grow a successful e-commerce business with potential buyer. Gonna try some strategy for my website. Well said, to make customer experience awesome it’s important to have dynamic content. Thanks for sharing. Keep up the great work. Thanks, Isha! Good luck with your website.